Space Safety » Archive » Spaceflight » Launch » What Do You Want To Be When You Grow Up? 12 December 1959 – First attempted launch of a Titan 1 C-2 ICBM from Launch Complex 16 (Credits: US Air Force). Here’s something you’re not likely to hear when asking your youngster or grandchild the age old question – “What do you want to be when you grow up?” “I wanna be a Safety Engineer!” No – not a lot of aspiring youth clamoring to learn the trade that is often looked upon as “an impediment to progress.” Since 1993, when I accepted a civil service position as an Air Force Safety Engineer (Occupational Series 0803), I’ve worked with many “803s” that had never really made it their life’s ambition to become one. For the most part, we’re engineers of the aerospace, mechanical, or electrical bent. But, I have known Safety Engineers who were learned scholars of ocean engineering or meteorology working on the hazards of rocket flight. I have heard that there actually is an elusive creature known as the “degreed Safety Engineer”, who set out in their educational pursuits to knowingly become “one of us”. In all fairness, I’m somewhat blinkered in my view of the Safety Engineering career field since my exposure has been limited to “Range Safety”. “Working as an Eastern Range Safety Engineer is an incredibly challenging and consequently rewarding career. It does come with the ubiquitous problem that so many in the Safety industry can attest – when you are doing your best work the result is “nothing”. If I design an aircraft, I get to see it eventually fly. If I bake a cake, I get to eventually eat it. But, keeping people safe from harm tends to be a bit more invisible. When I first came to The Range I thought about how I arrived, and was somewhat astonished with a vague memory from my childhood education. It was standard practice in the 7th Grade that each student would take a class in Guidance Counseling, with a hope that much would be learned about the many choices ahead in life. I recall a particular lesson in which we were acquainted with a box of cards and asked to start with the first, answer questions, and follow the instructions designed to lead one in a search for the perfect employment. “Do you like math?” the card would query and a “Yes” response would send you to another card asking if you enjoyed art, or working outdoors, or dark enclosed spaces (not sure what that one was about). After a considerable number of card selections, which I believe required nearly the remainder of the 50 minute class period, a final card was to reveal the optimal career, tailored to my very soul. Upon pulling that last card I was somewhat flabbergasted to view a picture of a man in a hardhat staring intently at a convolution of piping and obviously making important notations on the clipboard in hand. I read the job description somewhat haphazardly – “inspecting facilities for dangers… verifying structural integrity of this or that… maintaining compliance with regulatory requirements…”. I looked around to make sure no one else had seen me labeled as a Safety Engineer and, after sliding the cardback in its place, quickly started looking for the Astronaut card or the Stuntman card. To think, that I was somewhat predetermined since 7th grade to become this Safety Engineer was a bit odd. But, as I began learning what I was back then and what I needed to be, I came to realize that it was a noble profession – even if the recipients of the fruits of your labor may not even realize the benefits. Terry Naughton – 2nd on the left. The latest (2008) occupational statistics show that in the U.S. there were approximately 151 million workers of which 25,700 (0.02%) were employed in the field of Health and Safety Engineering. Interestingly, 19,700 (0.01%) were Actuaries – “business professionals who mathematically evaluate the likelihood of events and quantify the contingent outcomes in order to minimize losses”. At Range Safety the contingent of engineers and mathematicians who evaluate the existing launchers and maiden voyagers must use similar techniques. Through the use of Bayesian Statistics and failure probabilities, we are the “actuaries” for Rocket Ships. But, our bottom line is not, as in the insurance game, calculating the appropriate premium for the newborn, maturing, or aged person based on their inevitable risk of death. Rather, our bottom line directly influences human safety. Our examinations of the newborn, maturing, and aged launch vehicles of the World determine how much risk is afforded to our personnel and the general public. When the insurance company gets it wrong, the harm is theirs to bear. When we get it wrong, we push the burden of potential harm onto others. Of the federal employment payroll, there were 2,838,000 civilians (1.9%) in the U.S. workforce in September 2009 according to the Office of Personnel Management. The Department of Defense subgroup includes the Air Force which touts a total of 87 persons in the Safety Engineering career field (June 2011). In my particular Major Command, Air Force Space Command, 48 of us “803s” are responsible for making sure that the risks to the public are well understood and mitigated when possible or thoroughly reviewed and accepted when the task is deemed important enough. Launching rockets is dangerous work. Learning from Our History No doubt you’ve seen the films and still photographs from the early days of the Eastern Range, when rockets were experimental and explosions were common. The transition from missile to launch vehicle was wrought with early failures. While statistically it was perhaps easier to simply assume the next launch would end in a fiery collapse, it had to make it much more difficult to convey the risks. A containment approach was well warranted. 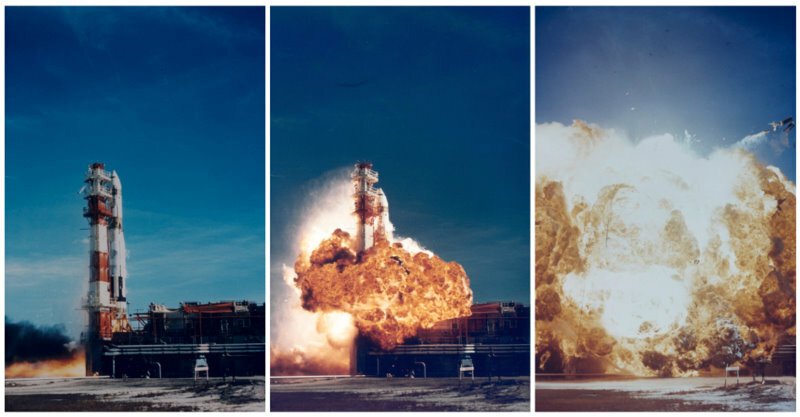 As rocketry matured the advent of risk analysis and modeling provided for a better view of how what could go wrong may affect public and personnel safety. Encroachment and increasing population density around the prime oceanside real estate prompted the use of sophisticated evaluation techniques in order to provide launch decision makers with the best picture of risks involved. But, let’s look back to those origins and the difficulties experienced. While researching historical launch vehicle failures, I stumbled upon a most interesting biography. The Writings of Terry Naughton (aka Scavenger) caught my eye since I wondered why my “launch vehicle failure” query had provided a positive hit. As I began to read I was at first somewhat disinterested in Terry’s “There I was…” descriptions of flying his cyber aircraft in a pre-worldwide-web game. I’d already heard plenty during my Air Force service; especially during Squadron Officer’s School when several hundred Captains learning to be Majors were thrown together for two months. The pilots enjoyed telling tales. My interest piqued however, as Terry transitioned to his account of how he ended up being a Safety Engineer. His unusual path toward this career is best described as, and many Safety Engineers would echo, “I never set out to become one, but ended up there one day”. 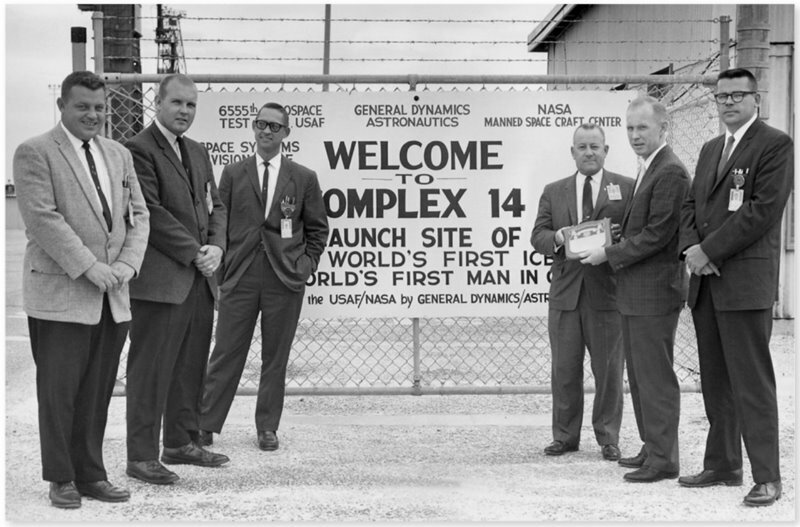 Terry Naughton worked the early years of spaceflight in the 1960s and learned quickly how those of the Safety profession are often thought of as necessary evils. Through his discoveries and efforts he proved our worth many times, insisting on procedures and mitigations, often facing the alternative of unemployment. To those who work in the Safety Engineering field or to those seeking to enter this often unrewarding and conversely always gratifying career I invite you to take some time to read Terry’s words provided at the link below. I did some minor editing and added photographs to help illustrate his chronology: enjoy the reading. Read “The Making of a Safety Engineer – The Writings of Terry Naughton“.